When you are a growing small business or solo entrepreneur, it can be tough to throw a company holiday party on a startup budget. Spark Baltimore is here to make our holiday party...YOUR holiday party! Join Spark's 3rd annual Every Startup's Holiday Party and celebrate your 2017 success with other growing companies and individuals building the local startup & entrepreneurial ecosystem! We are collaborating with local startup community partners and throwing one BIG holiday par-tay! Celebrate your 2017 success with other growing companies and individuals building the local startup & entrepreneurial ecosystem! To keep with the spirit of giving this holiday season, your ticket serves as your donation to Baltimore Animal Rescue and Care Shelter (BARCS) - 100% of the ticket proceeds will go to BARCS! 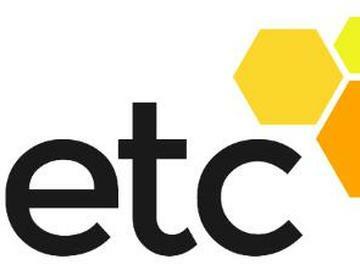 In true collaborative spirit of the Baltimore startup ecosystem, this year we are excited to have Emerging Technology Centers join the celebration as a Community Partner! Put on your ugliest holiday sweater, pick out your favorite wintertime tune, and join Spark Baltimore as we host Every Startup’s Holiday Party!